In “August 2026: There Will Come Soft Rains”, prominent science-fiction writer Ray Bradbury writes a short story about the benefits and dangers of technological advances, especially of nuclear warfare, which was a major concern during the Cold War era. Disclaimer: I have read this story before. The short story set in the far future (from the story’s time of writing: 1950), and it describes a fully automated house, with many quality-of-life functions and robots to aid its inhabitants. Much of the story describes the functions of the house’s technological marvels. The house has several automated functions. There is an automated voiced stove that cooks meals: “In the kitchen the breakfast stove gave a hissing sigh and ejected from its warm interior eight pieces of perfectly browned toast, eight eggs sunnyside up, sixteen slices of bacon, two coffees, and two cool glasses of milk” (Bradbury, 1), as well as automated robots that clean the interior of the house at timed intervals: “Out of warrens in the wall, tiny robot mice darted. The rooms were acrawl with the small cleaning animals, all rubber and metal. They thudded against chairs, whirling their mustached runners, kneading the rug nap, sucking gently at hidden dust. Then, like mysterious invaders, they popped into their burrows. Their pink electric eyes faded. The house was clean” (Bradbury, 1). However, it is revealed that the house is empty, and the house’s automated functions persist even though noone is living in the house (Bradbury, 1-2). There is a significant reveal: “The sun came out from behind the rain. The house stood alone in a city of rubble and ashes. This was the one house left standing. At night the ruined city gave off a radioactive glow which could be seen for miles” (Bradbury, 1). This quote reveals that there has been a nuclear apocalypse, and there is no human life around. All other buildings in the city have been reduced to “rubble and ashes”, and that the “ruined city gave off a radioactive glow” references the grim aftermath of a nuclear impact. There are other quotes throughout the story that emphasize a post-nuclear event, but one paragraph had the most impact: “the charred west side where the house had been burned evenly free of its white paint. The entire west face of the house was black, save for five places. Here the silhouette in paint of a man mowing a lawn. Here, as in a photograph, a woman bent to pick flowers. Still farther over, their images burned on wood in one titanic instant, a small boy, hands flung into the air; higher up, the image of a thrown ball, and opposite him a girl, hands raised to catch a ball which never came down. The five spots of paint—the man, the woman, the children, the ball—remained. The rest was a thin charcoaled layer” (Bradbury, 1). This paragraph is a graphic description of “nuclear shadows”, which is a phenomenon of the aftereffects of a nuclear explosion. 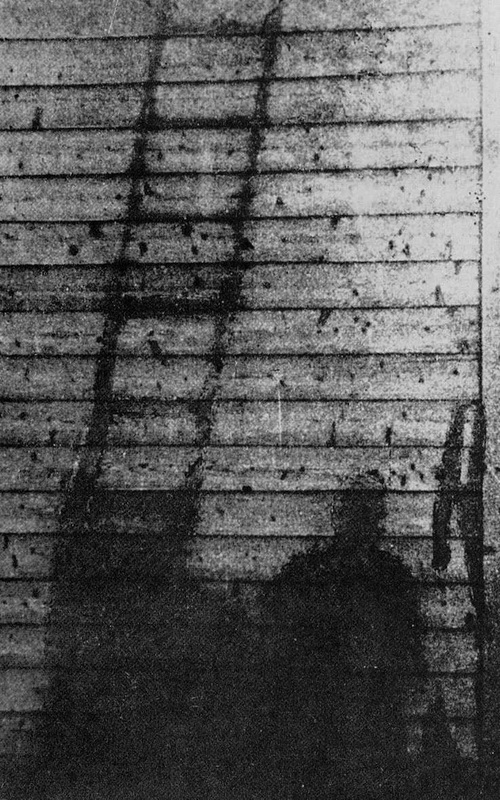 Because of a nuclear detonation’s intense heat, shadows are left permanently imprinted into surfaces. 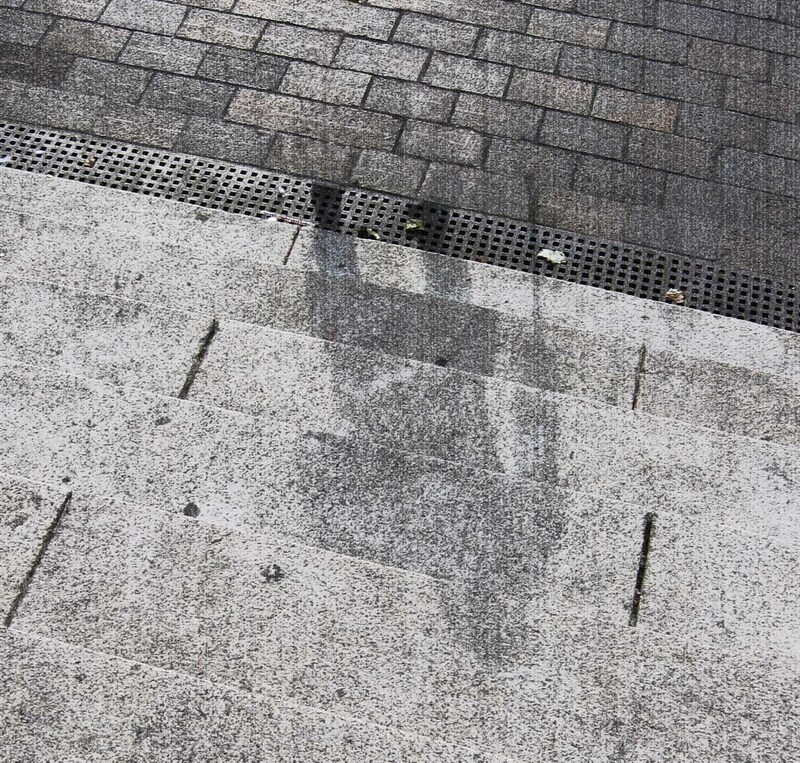 There are several photographs of this phenomenon in the aftermath of the nuclear detonations of Hiroshima and Nagasaki during the Second World War. There is also a stroke of irony in the short story, as an automated voice reads a poem describing wildlife in nature not caring if mankind ceased to exist (Bradbury, 3). The poem also draws ironic parallels to the technology in the house, which also does not care if mankind did not exist. Bradbury’s story details the great benefits that technology has to offer mankind (automated robots, quality of life), as well as its dangers (nuclear warfare). During the Cold War era, the United States and the Soviet Union were deathly afraid of nuclear warfare with each other. This short story was published in 1950, which was shortly after the Soviet Union had completed its first successful nuclear test on August 29, 1949. Nuclear tensions between the superpowers of the US and the USSR would reach many tipping points throughout history, the most famous is the Cuban Missile Crisis of 1962. Many people who grew up during the Cold War era had nuclear apocalypse on their minds, as it was a real possibility during those times. This entry was posted in There Will Come Soft Rains on September 25, 2017 by Calvin Ly.